In an orphanage just two hours away from Port-au-Prince, Haiti, three sisters have been waiting almost three years to be adopted. The sisters were orphaned after a 7.0 magnitude earthquake destroyed many areas of Haiti's capital city and left thousands dead on Jan. 12, 2010. Now the girls are close to having a family again -- in Chicago. 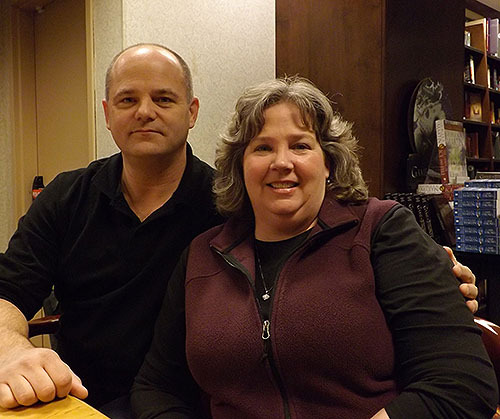 Wayne and Janelle Hockett have been trying to adopt children for almost seven years. When Janelle stumbled across a blog post about the sisters -- ages 15, 10 and 8 -- she immediately called her husband. "We both read it, and thought about it quite a bit, prayed about it quite a bit, and talked about it," said Janelle. Neither Janelle nor Wayne had seen a picture of the girls but knew this was right for them. They began working with an Oak Park adoption agency to move forward with the adopting them. The Hocketts said they hadn't been open with others about their adoption process over the years. But this time it was different. "We felt like we have to be talking about this because we need help," she said. "We needed all of our friends alongside us." The Hocketts were up against hefty cost of adoption-- roughly $50,000. But in addition to the cost, they learned that time was also a critical factor. Under Haiti law, children are no longer adoptable at the age of 16. To make sure the girls can stay together, the adoption needs to be finalized before the oldest child’s 16th birthday in September. Last March, just a few months after they committed to the adoption, the Hocketts started a blog about it. The blog not only documented their adoption journey, but also was a source of fundraising to help pay the for the adoption. “Understanding that you need this help and trying to open yourself up to that is a very humbling process,” Wayne said. But help did come. An anonymous donor gave almost $15,000 -- the remaining amount of money needed to pay for the adoption. In October, they traveled to Haiti to meet the sisters in person for the first time. The only sentence girls knew one sentence in English was, "Hello my name is ..." The Hocketts relied on smiles and charades to communicate with the girls during their visit at the Haitian adoption agency. In one activity, the Hocketts made bracelets with the girls. 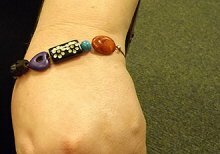 All of them chose a different bead to represent each of them for the bracelet, but all of the bracelets had a heart-shaped bead. Janelle pointed to the heart-shaped bead and said fanmi, the word for "family" in Haitian Creole. The girls understood. With that memory, the Hocketts are excited that eager to have the girls home. Feedback: Contact the reporter via Twitter, leave a comment below and Like/Dislike this story. You also can submit a story idea or report an error.